Welcome to BLUSH NAIL SPA, Sydney's destination for hands and feet. Our philosophy is Indulgence, Cleanliness and Quality. BLUSH NAIL SPA offers the ultimate in luxurious specialized treatments for hands and feet with unparalleled service and fastidious attention to hygiene. Our unique "social spa", ideally suited for meeting friends or clients, is also an excellent event venue. Located in Chatswood Chase Shopping Centre, BLUSH NAIL SPA is conveniently open 7 days a week. Walk ins are welcome but to guarantee a space, please make a booking by calling 02 9904 8788. 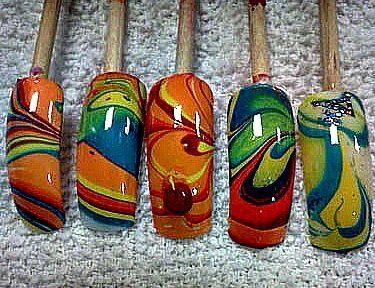 Try our Nail Marbling Manicure at Blush Nail Spa! Our clever team at Blush Nail Spa can create interesting designs by using the water marbling technique, which is mixing/swirling the nail polish colours in water then dipping the nails into the colour mix. Add $20.00 to any of our blush mani. Shellac - No Chip Manicure and Pedicure! Say goodbye to chipping and smudging! – Say hello to the 2 week Shellac manicure and 4 week Shellac pedicure!! This unique system goes on like polish yet wears like Gel providing you with a high gloss, chip-free manicure and pedicure. It dries instantly meaning you will never smudge your manicure or pedicure again. When its time to change the colour Shellac can be removed in just 10minutes and better still – there is no harm to your natural nail. 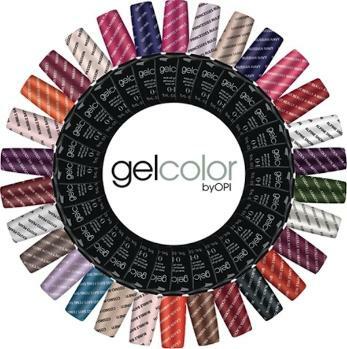 OPI is the latest nail brand to launch an in-salon gel manicure service.The 30-colour line features some iconic OPI shades such as Lincoln Park After Dark, Bubble Bath, Funny Bunny, Samoan Sands and Big Apple Red. We are so excited! !